Predator on predator encounters — dubbed ‘lateral interactions’ — are well known on land, but how they play out in the ocean is poorly understood. 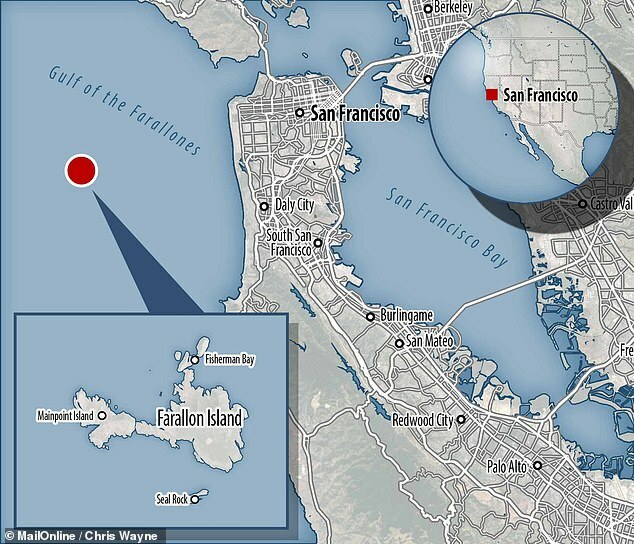 To investigate, a research team led by Monterey Bay Aquarium’s Salvador Jorgensen, set about to see what happens in the rare cases when sharks and orcas end up occupying the same waters. ‘The research in this paper combines two really robust data sources,’ commented paper co-author Jim Tietz, who is a biologist from Point Blue Conservation Science. 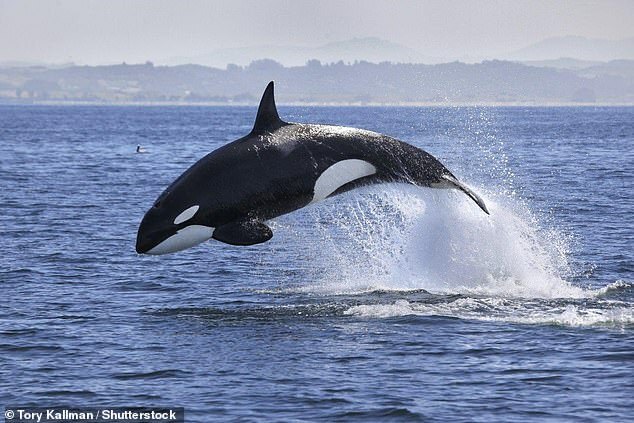 ‘When confronted by orcas, white sharks will immediately vacate their preferred hunting ground and will not return for up to a year,’ said Dr Jorgensen. ‘These are huge white sharks. Some are over 18 feet long (5.5 metres), and they usually rule the roost here,’ Anderson said. ‘On average we document around 40 elephant seal predation events by white sharks at Southeast Farallon Island each season,’ Anderson said. ‘I think this demonstrates how food chains are not always linear,’ he said. 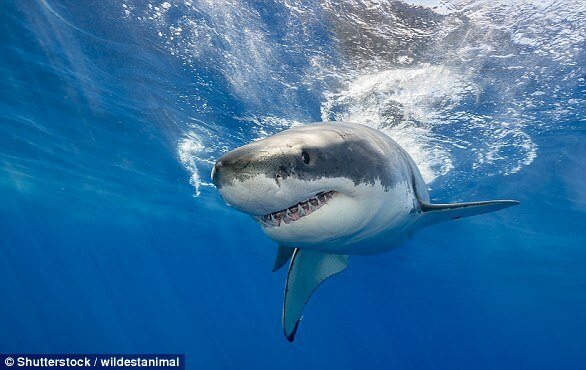 ‘It turns out these risk effects are very strong even for large predators like white sharks — strong enough to redirect their hunting activity to less preferred but safer areas,’ he concluded. 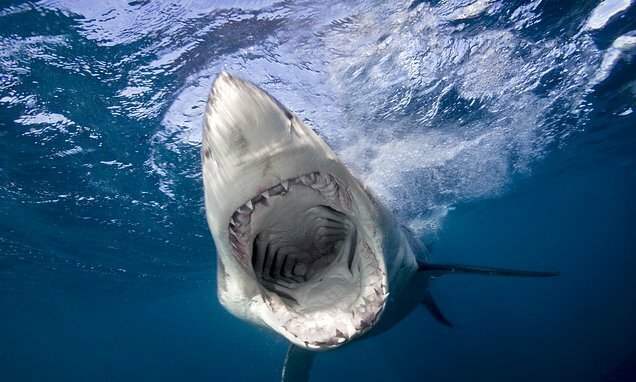 Their teeth are fear factor number one, with the great white’s teeth growing up to two-and-a-half inches in length. A shark’s power and size terrifies us, too. 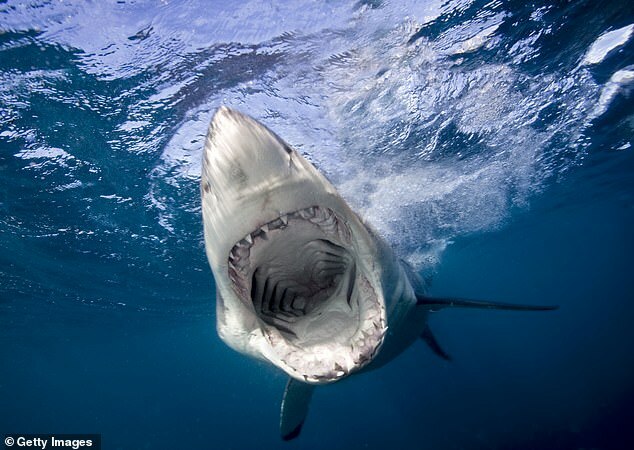 Most sharks release a human after its first bite but sometimes, that’s all it take to kill a person.